More than two decades of deconstruction, renovation, and reconstruction have left the urban environments in the former German Democratic Republic completely transformed. 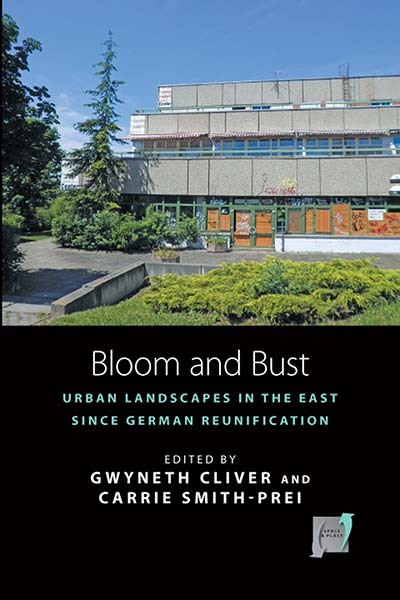 This volume considers the changing urban landscapes in the former East — and how the filling of previous absences and the absence of previous presence — creates the cultural landscape of modern unified Germany. This broadens our understanding of this transformation by examining often-neglected cities, spaces, or structures, and historical narration and preservation. Gwyneth Cliver is Assistant Professor of German at the University of Nebraska at Omaha. She completed her PhD in 2008 from Washington University in St Louis and has also taught at Guilford College in North Carolina and Ball State University. Her research includes the integration of mathematics and mathematical philosophy in the writings of Robert Musil and Hermann Broch. Carrie Smith-Prei is Associate Professor of German Studies at the University of Alberta and holds a PhD from Washington University in St. Louis. She is the author of Revolting Families: Toxic Intimacy, Private Politics, and Literary Realism in the German Sixties (U of Toronto P, 2013), co-editor of a special issue on lesbian representations (Germanistik in Ireland, 2010), and is co-founder of Imaginations: Journal of Cross-Cultural Image Studies. Chapter 7. Sounding out Erfurt: Does the Song Remain the Same?